Microsoft unveiled its first major wearable fitness device yesterday called “Microsoft Band.” It also introduced a new health platform to go with the Band, called Microsoft Health. The Microsoft Band went on sale today across retail and online stores for $199. 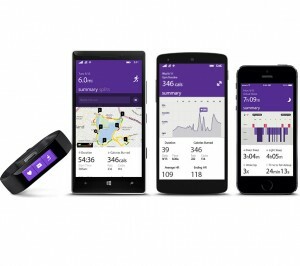 Microsoft Band also works with Android smartphones via a free, downloadable app called Microsoft Health, which is available in the Play Store. It’ll work with any Bluetooth LE device running Windows Phone 8.1 Update, iOS 7.1 or newer on an iPhone 4S or newer, and Android 4.3 or newer. While primarily focused on health and fitness tracking, the Microsoft Band also includes a number of smart watch features, including getting alerts for in-coming calls, messages, social media updates and email. Microsoft band is made of a “thermal plastic elastomer”. It got a tiny 1.4-inch touchscreen at just 320 x 106 pixels resolution and is powered by two 100mAh lithium-ion batteries. The charge time is 1.5 hours, using a magnetically attached USB charger. There are three different sizes, so it should fit on most wrists. 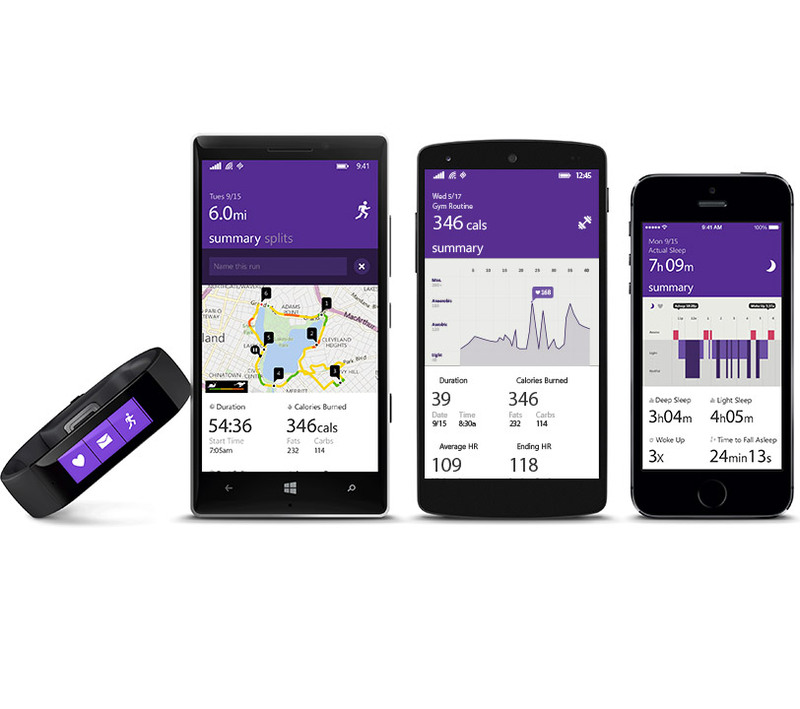 Microsoft Band is designed to be worn by its user all day to track both sleeping and exercise patterns. The Band comes with built-in GPS and 10 sensors that can track things like heart rate, but it also has a unique UV sensor to measure sun exposure, and a “galvanic skin response measurement” to purportedly help identify stress. The band has a microphone to issue voice commands to Cortana, but those will only work if the band is paired to a Windows Phone device. The Microsoft Health is a cloud-based service which fetches information from the Microsoft Band, as well as other fitness bands and rival smartphones. Microsoft says that this feature will grow to understand your habits.The company has also partnered with several fitness tracking app makers including RunKeeper, MapMyFitness as well as hardware partners like Jawbone and Starbucks for possible integrations.For US market, the band is priced at $199.